This is a guaranteed plan ensuring live birth beyond 24 weeks. Plan is confirmed after reviewing reports and is only for cycles with donor eggs from our associated ART Banks. Charges for premium donor eggs are not included in the package. Intended Parent commits to minimum of 4 IVF cycles with multiple embryo transferred in each cycle. 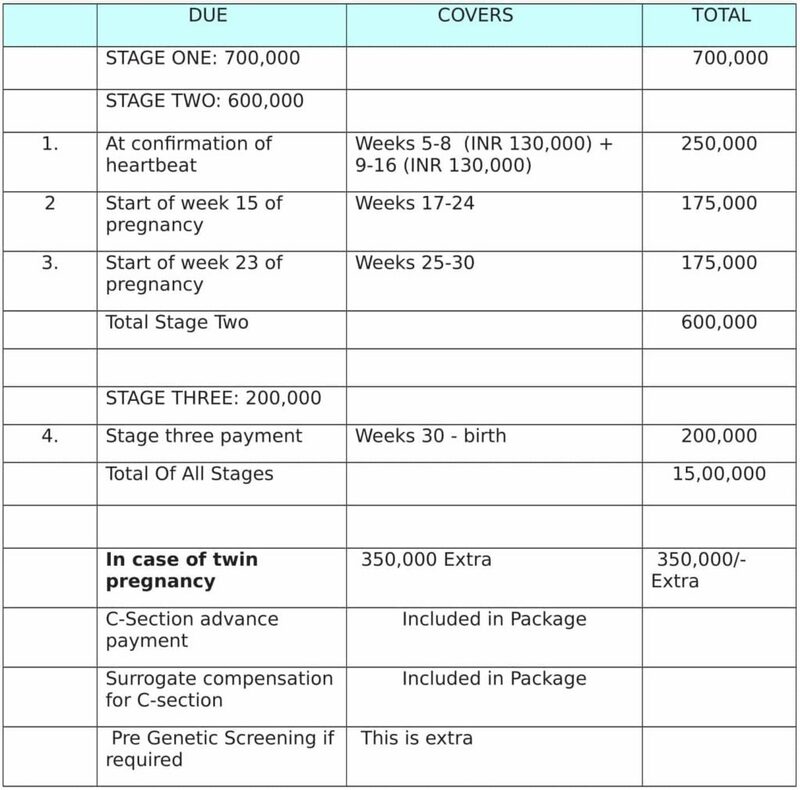 If pregnancy and live birth beyond 24 weeks is not achieved in 4 IVF Cycles the entire Stage 1 payment will be refunded. Should a surrogate mother miscarry or child dies before birth in or before 24 weeks of pregnancy. The intended parent will be obligated to make Stage 2 payments for the new pregnancy. Stage 1 payments for the IVF process will not be charged and will be part of the package.